After breakfast meet our tour guide(who has a valid license) in your hotel at 8 am, then you will be transferred to Memphis museum where you will see the colossi of king Ramses the 2nd and the ruins of this ancient capital of Egypt ,then you will move to Sakkara to see the steps pyramid and the oldest funerary surrounding it .There is a break for lunch and then on the way to Giza you will stop for a short time at one of the papyrus factories to see in front of your eyes how the ancient Egyptians used to make it. 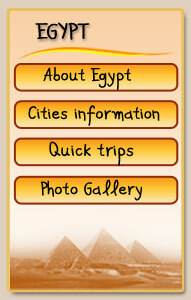 Afterwards you will go to Giza plateau to see the famous three pyramids of Cheops, chephren and Mycerinus and the great sphinx. The last stop in the tour will be in your way back to the hotel , at another factory of the flowers pure extracts and the plow oriental chaps glasses , and finally, drive back to the hotel and overnight. Our local representative will meet you in the train station with a signboard of your name, check in your Nile cruise, move to visit philea temple, then the high dame and ,and afterwards back to the cruise, overnight. Finally, sailing on the way to comombu. A Morning visit to the dual temple of Sobek and Haroeris in Comombu, and then we drive to Edfu to visit the most well-preserved temple in Egypt -- dedicated to Horus, the Falcon God, and then back to the cruise sailing on the way to Luxor. 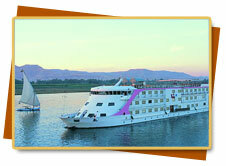 Accommodations (2 nights in Cairo, 2 night in the cruise and 1 night in Luxor hotel).